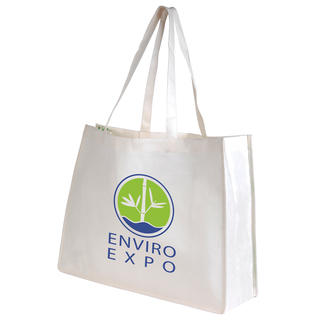 Jumbo double handle non-woven bamboo carry bag. Made from bamboo, one of the world's fastest growing plants. Ideal for environmental projects as bamboo is a renewable resource and biodegradable. Join the revolution to reduce the use of plastic shopping bags!